An easy-to-understand pocketbook for anyone involved or interested in insurance. 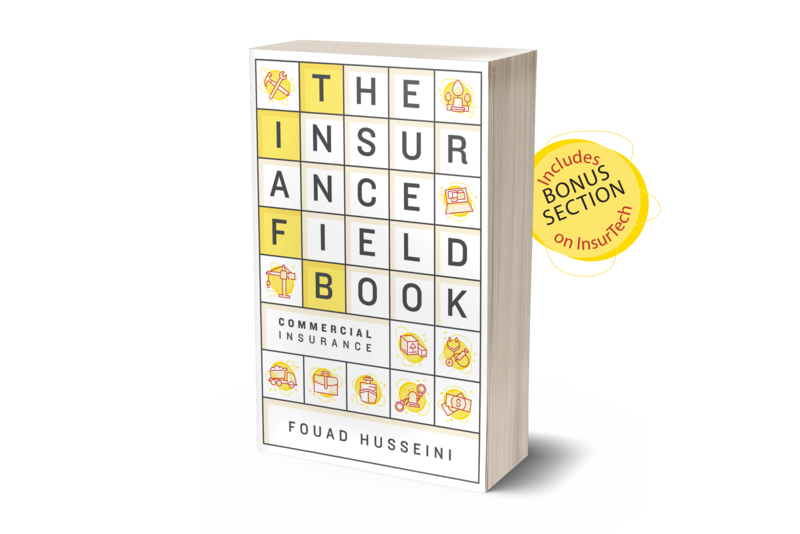 A book to guide you through the commercial insurance maze. Commercial insurance can be confusing and expensive. Few people understand the vocabulary, structure and detailed mechanics of insurance. This pocketbook is an excellent ready reference for brokers, agents and their clients, giving comprehensive details of the current covers available in the marketplace and their practical application. Non-payment due to buyer being declared bankrupt or under bankruptcy protection arrangements or becomes insolvent represents significant operational risks. Business may have to close down completely while the premises are being repaired potentially losing out to competitors. Cyber-attacks aren’t limited to lone teenagers but may come from nation states, terrorists, criminals, activists and company insiders. Civil, criminal or regulatory proceedings can be taken if an act of a director or an officer is found to have caused adverse financial consequences to the business. Commercial shipping is the most international of all the trade services. It represents a significant capital investment and entails huge financial vulnerabilities. The most important asset of a company is it’s people especially those individuals whose talents, expertise and business contacts drive the business. Choose any of the following editions to get your copy. The most comprehensive and effective book on the market. This book is for you if you are a broker, agent, a salesman or an insurance buyer. Learn 30 different insurance policies. Property, Cyber, Marine, Auto, Liability and Medical are a sample of the covers demystified. Remove confusion and conflicting advice. Case studies, survey findings and research from more than 80 published papers will help you leapfrog your toughest competitors. Know what is and isn’t covered by commercial insurance policies. Learn to avoid common pitfalls, lower your costs and win insurance arguments. Read how to cover your business against all kinds of liabilities. Speak the language of insurance sellers and negotiate intelligently. Stay informed. Insurance is quickly evolving! Artificial intelligence, machine learning, blockchain and smart contracts are some of the topics regularly featured on the blog. Copyright © 2017-2018. The Insurance Field Book. All rights reserved.